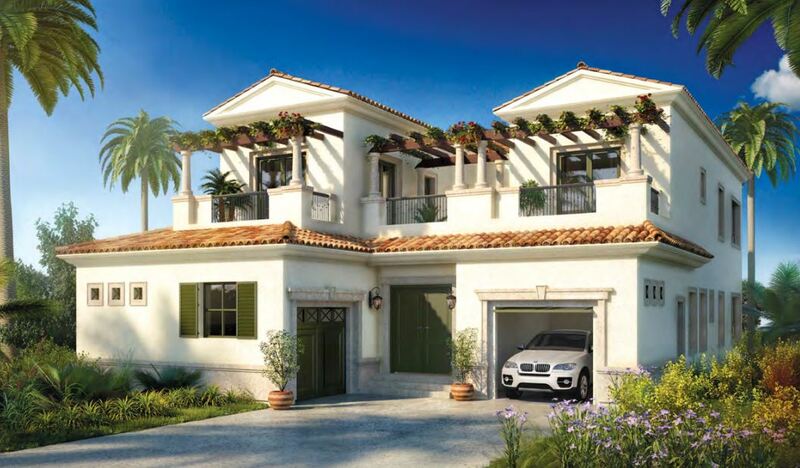 The Royal Golf Boutique Villas are set within the Wildflower District of Jumeirah Golf Estates. Each home is beautifully designed, with open plan living arrangements, in a variety of sizes to suit your needs.The only thing missing is you. Easily one of the world’s most prestigious residential golf communities, Jumeirah Golf Estates is a luxury development with golf courses inspired by the natural elements of fire and earth. A gated community featuring individually designed homes set amid stunning landscapes, the Jumeirah Golf Estates community blends all the accoutrements of modern living with the beauty of Mother Nature. Enter your villa and prepare to be enthralled. Each detail is the epitome of historic Spanish architecture. From the terracotta tiles to cast concrete ornaments, all are manifestations of a glorious bygone era. Finer details include gently pitched tiled roofs, smooth plastered walls, arched door and window openings, tall double-hung windows, canvas awnings and decorative iron-work. To complete the experience, homes are set amidst abundant foliage and around the spectacular golf course. Such a gloriously serence location and yet Jumeirah Golf Estates is surprisingly close to the excitement of the city. This prestigious property is a few minutes away from Dubai’s landmark locations such as Palm Jumeirah, Dubai Marina, Dubai Parks and Resorts and prominent business hubs. A 10-minute drive will take you right into the heart of the city where an array of shopping, leisure and entertainment awaits.